University of Alaska Press, 9781602231221, 190pp. 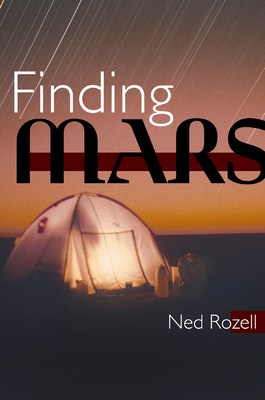 Finding Mars is an interwoven tale of science, travel, and adventure, as science writer Ned Rozell accompanies permafrost researcher—and inveterate wanderer—Kenji Yoshikawa on a 750-mile trek by snowmobile through the Alaska wilderness. Along the way, Rozell learns about Yoshikawa’s fascinating life, from his boyhood in Tokyo to the youthful wanderlust that led him to push a wheeled cart across the Sahara, ski to the South Pole, and take a sailboat into the frozen reaches of the Arctic Ocean, spending a winter frozen in the ice near Barrow. It’s an always on-the-move account of a man driven not just by the desire to fill in the blank spots on a map, but also to learn everything he can about them—and a ringing testament to the power of science, enthusiasm, and individual inspiration. Alaskan Ned Rozell has written more than 600 weekly newspaper columns on science and natural history, and is the author of three other books, including Walking My Dog, Jane about a hike across Alaska and Alaska Tracks, a collection of outdoor adventure essays."